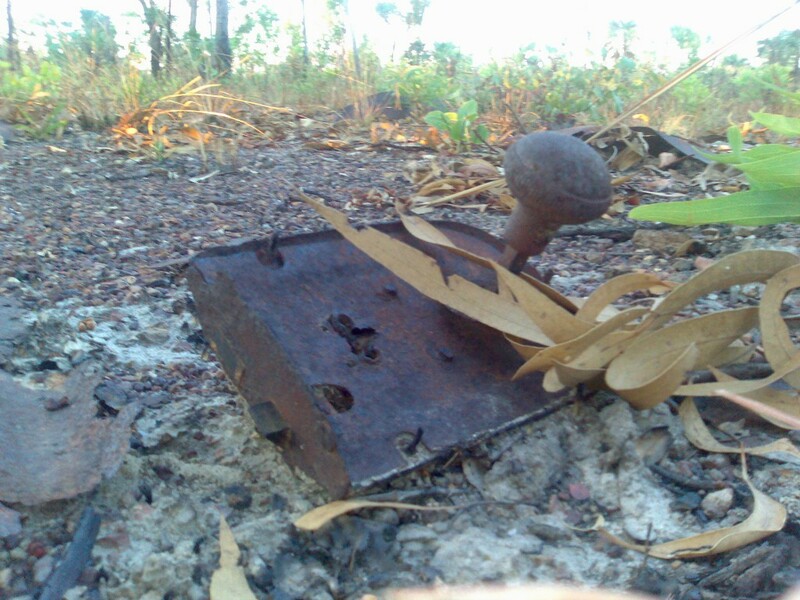 The following site was occupied in April 1944 by troops of the 2nd Australian Troops Company Royal Australian Engineers HQ (AIF) who provided skilled labour for a number of tasks in the area. It was also home to a number of Australian Army Service Corps (AASC) units as attested to by documents of the 40th Infantry Battalion (stationed at 31 Mile) (2nd AIF war diaries, 1939-45 War, Australian War Memorial, AWM52, 8/3/79/013). The site itself is split up into two distinct areas with the HQ on the Southwestern side of Middle Arm Road and the other building sites situated on the Northeast side. 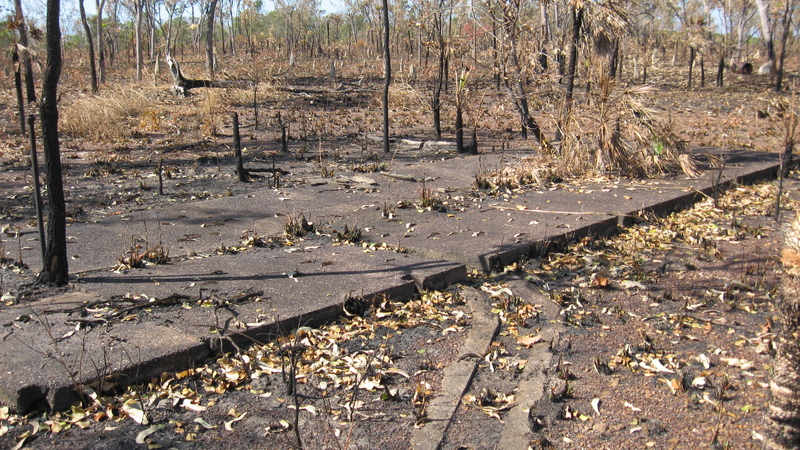 The site is quite distinctive as it contains about six bores caped with concrete. 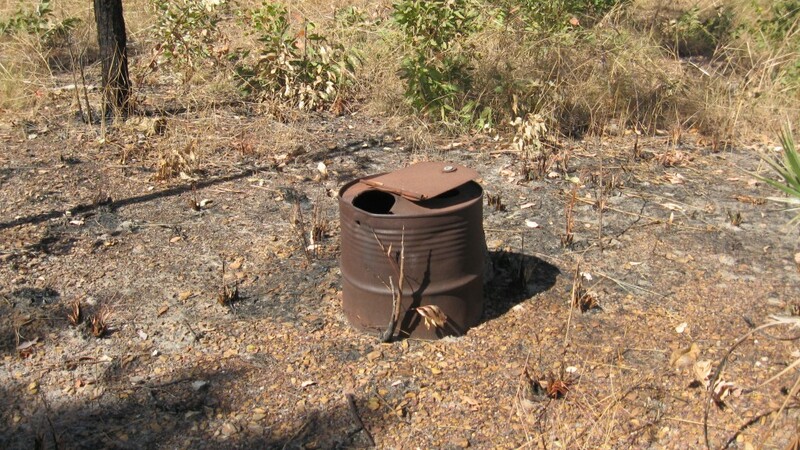 It is thought that these bores where maintained and used by the AASC to provide water for units in the vicinity. 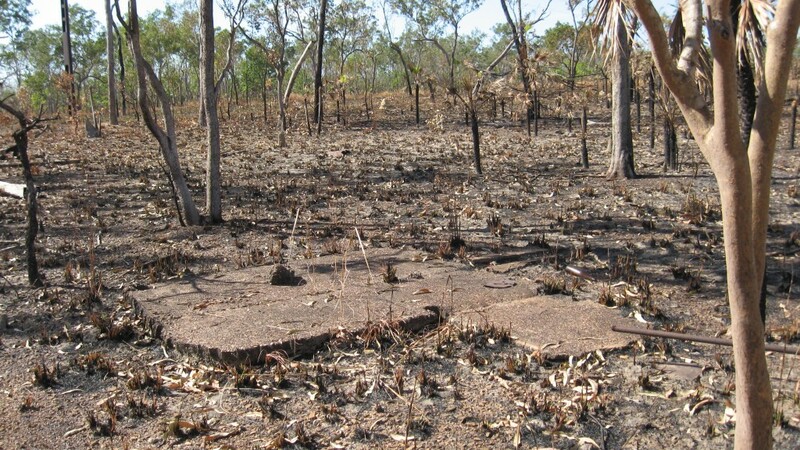 Indeed the ridge line, of which this site sits astride, provides a lot of water to the people who live in the area today. The site contains many concrete foundations which include, accommodation, shower, toilet and washing areas with accompanying drains and septic pits. There are generator and communications pads to service the vast network of coms in the area. 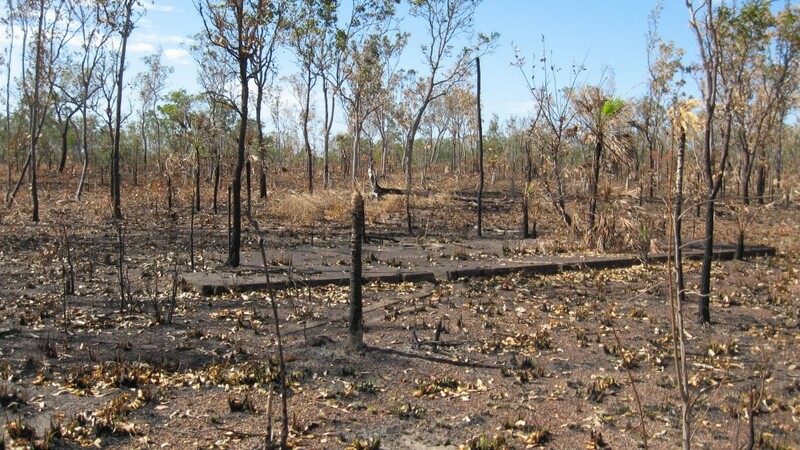 Indeed, the bases of telecommunications poles can still be seen running along the Eastern side of the road stretching back towards the Stuart Highway. The most interesting aspect of the site however is the bores which are thought to have been constructed by units of the 2/1st Australian Boring Platoon which served in the Noonamah area under the 3rd Australian Chief Engineer (CRE) unit. This is attested to by information present in 40th Infantry Battalion documents (2nd AIF war diaries, 1939-45 War, Australian War Memorial, AWM52, 8/3/79/013). 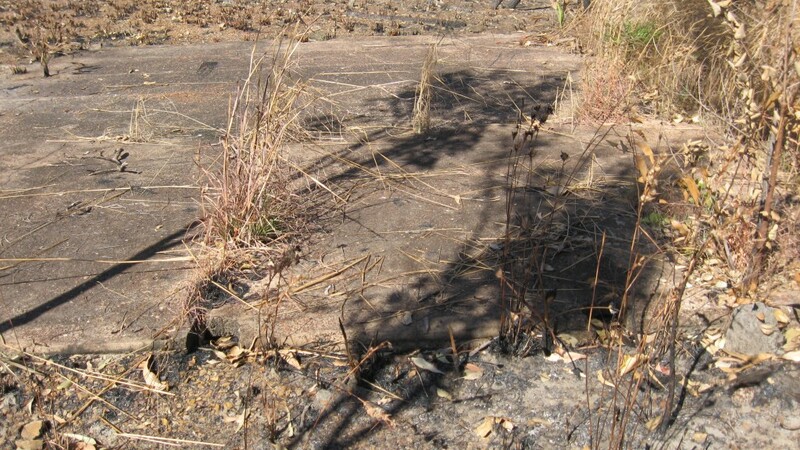 At the site can been seen the remains of the water reticulation system that fed water from the bores into water tanks. 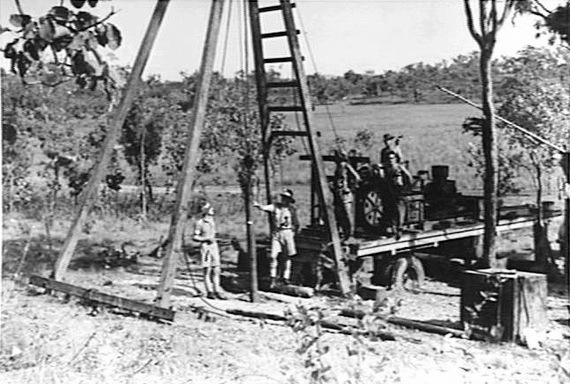 Engineering troops constructing a road in the Northern Territory. 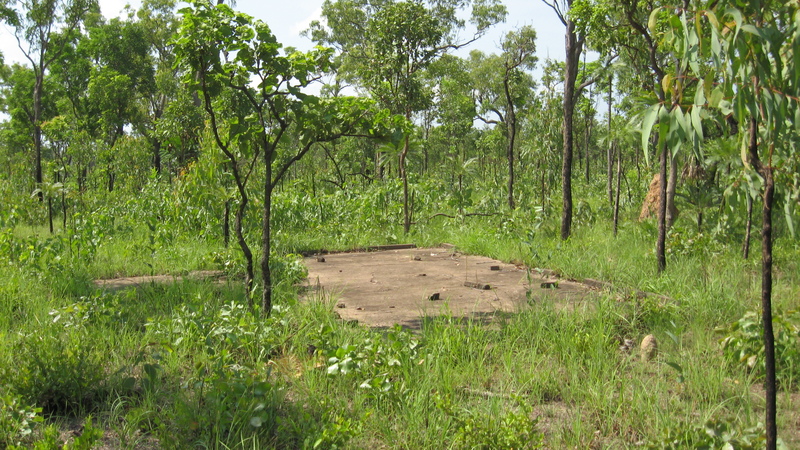 A large accommodation hut foundation located at the Northern end of the camp area (wet season). 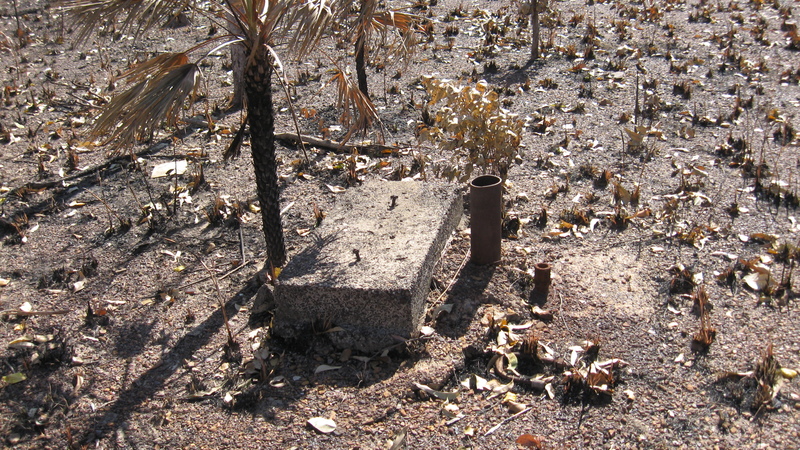 An overgrown accommodation hut foundation located in the HQ area of the camp (dry season). Large shower foundation with drain running off at a 45 degree angle. Small shower area with water pipe at right. 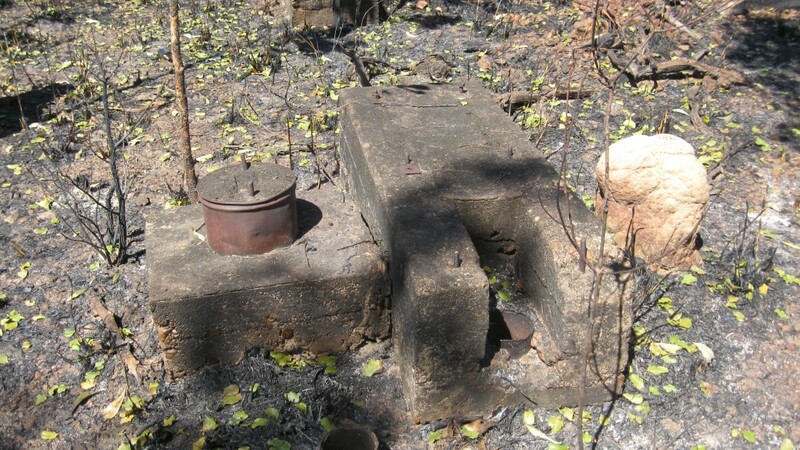 One of two bores at the northern end of the site. The bolts for the pumping gear are located at the rear of the bore hole itself. 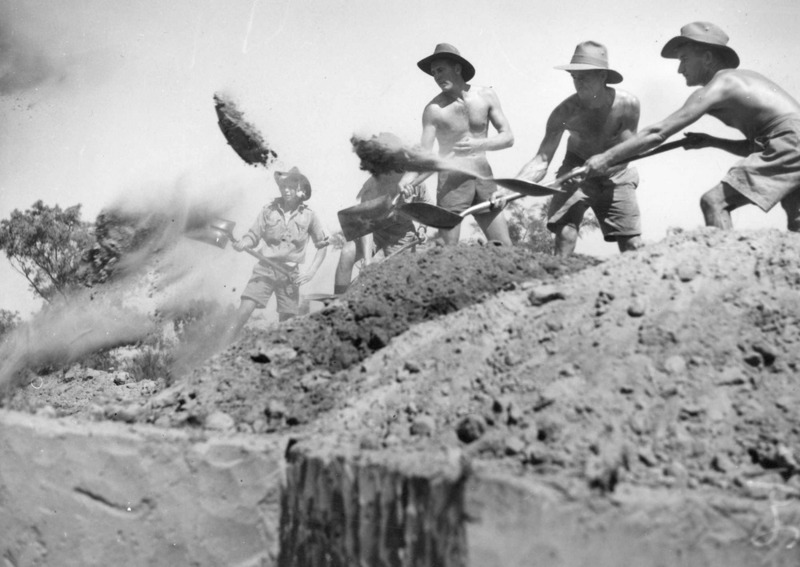 Troops of the 3rd Australian Chief Engineer (CRE) unit drilling a bore in the NT. AWM061262 – Copyright expired – public domain. Reticulation device for pumping water into multiple tanks. 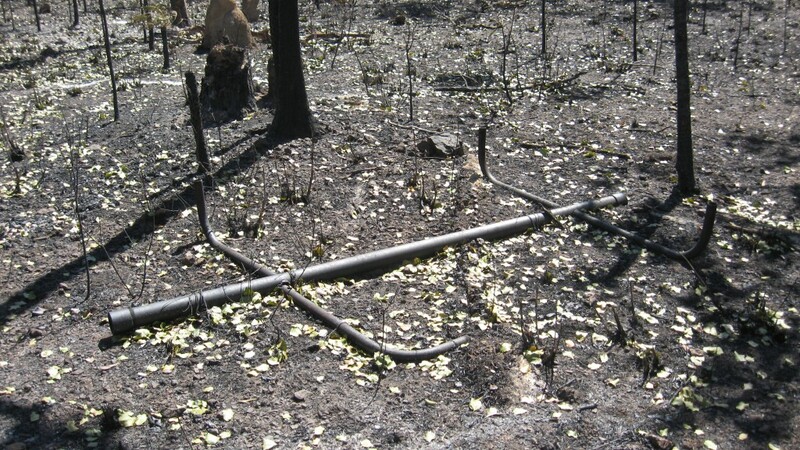 A less elaborate bore and pumping foundation located in the HQ camp area. Door handle and lock from one of the accommodation huts on the East side of camp.